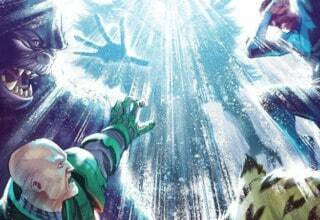 In mid-2015, DC Comics announced their DCYou initiative. 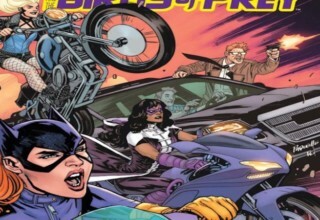 Stemming from the success of titles such as HARLEY QUINN, BATGIRL, and GOTHAM ACADEMY, the company sought to diversify their line of books by appealing to readers outside of the “normal” comic book audience. 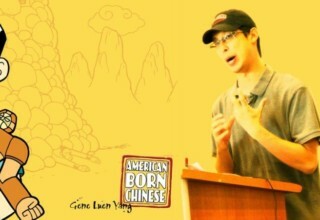 They did so by launching numerous new titles that didn’t adhere to strict continuity. 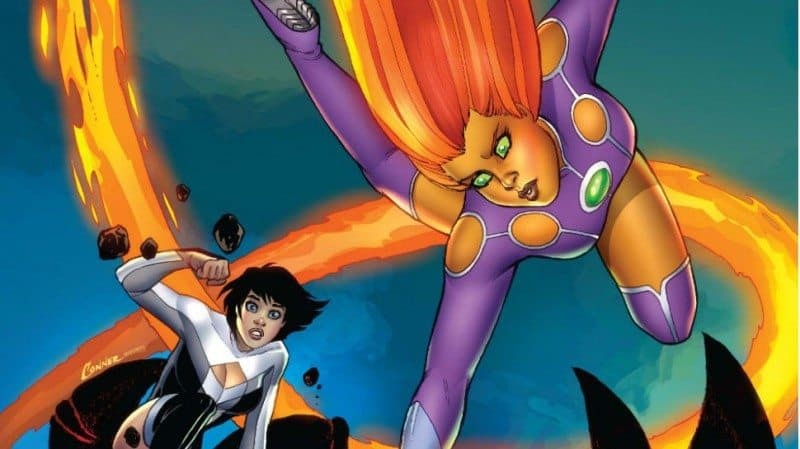 One of the more heavily hyped titles launched at the program’s outset was STARFIRE from the HARLEY QUINN creative team of Jimmy Palmiotti and Amanda Conner, along with artist Emanuela Lupacchino. The first arc of the series (issues 1-6, plus a preview story originally published in CONVERGENCE: GREEN ARROW #2) was recently collected by DC in the trade paperback collection STARFIRE Vol. 1: WELCOME HOME. 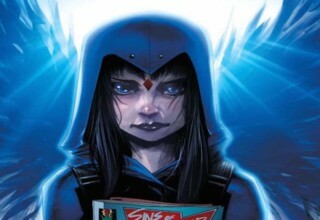 The series follows Princess Koriand’r as she tries to find her way on Earth on her own for the first time. 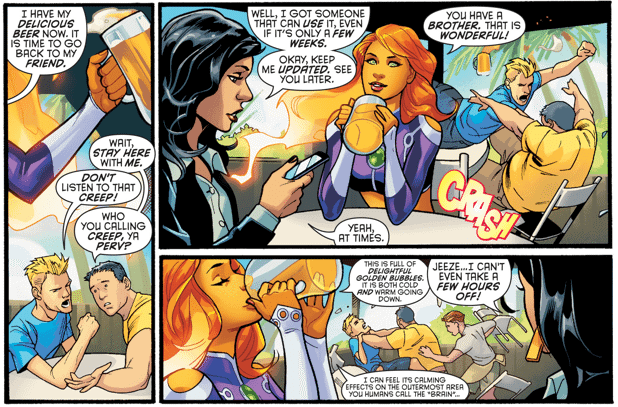 After leaving her former allies Red Hood and Arsenal, Starfire seeks out advice from Superman on where to go next. His words unwittingly point her to settling down in Key West, Florida. Over the course of her first few days there, she quickly bonds with Sheriff Stella Gomez and her brother Sol, whom Kory moves in with. 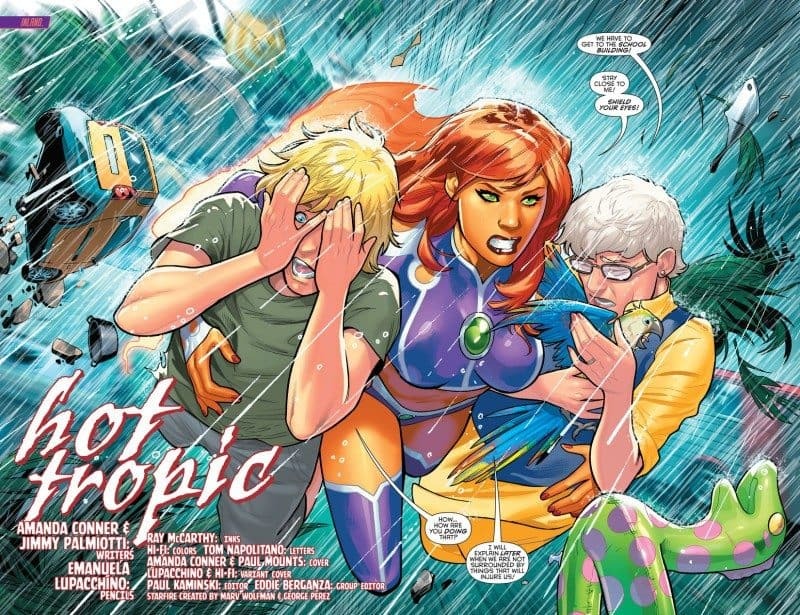 Starfire’s attempts to adapt to her new environment are interrupted first by a hurricane and second by a large mysterious creature seemingly from the center of the Earth. She doesn’t have to do so alone however, as she receives aid from Atlee, a version of TEEN TITANS character Terra. One can’t accurately critically analyze the first volume of STARFIRE without briefly examining a bit of the character’s history and how she was presented just before the series launched. The character debuted in 1980 as a star character in THE NEW TEEN TITANS. Created by Marv Wolfman and George Perez, the character was portrayed as a brave and compassionate warrior. She was a key character in the DC Universe for approximately a decade and a half before falling into second-tier status during the 1990s. The character came back to prominence in the early 2000’s thanks to the success of the TEEN TITANS animated series and Geoff Johns’ reboot of the title. Starfire was introduced to DC’s New 52 Universe in the pages of RED HOOD AND THE OUTLAWS, where she was presented as nothing but a highly sexualized being. 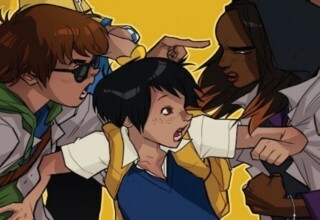 The depiction remained highly divisive throughout the series’ run and was fresh on the minds of readers when the STARFIRE title, the character’s first starring book, was announced. 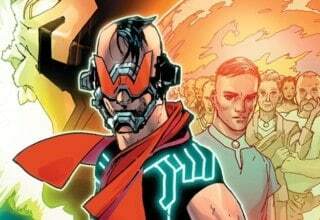 Conner and Palmiotti, still riding high on the gargantuan success of HARLEY QUINN, wisely decided to steer clear of the controversial elements presented in RED HOOD AND THE OUTLAWS. Instead, the two have crafted a Starfire more reminiscent of her animated incarnation, with even her Conner-designed costume being an almost direct take on the Cartoon Network version. Their Kory is portrayed as new to Earth, a sign of DCYou’s sliding continuity scale, naive about the planet’s customs but compassionate for its residents, much like her cartoon counterpart. They achieve this using the same storytelling technique that worked so well for Harley, splitting the issues into titled vignettes and focusing more on the comedy and social interactions than traditional super-heroic action. Even the big action and fight scene set pieces maintain a light tone. Emanuella Lupacchino’s artwork perfectly complements the tone and characterization that the writers first pitched. Her figures and backgrounds are full of disarming rounded edges. Her Starfire is particularly gorgeous, projecting a warmth and personality that few artists outside of her creator George Perez have ever been able to imbue her with. Personally, I enjoyed the STARFIRE title a great deal, especially these early issues. 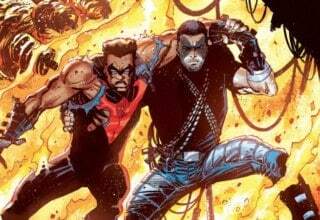 WELCOME HOME was a fun read that was very different from most of DC’s normal output at the time of its release. I’d highly recommend it to fans of the character’s animated TEEN TITANS version, as this is the closest to cartoon Starfire that mainstream comics has ever produced. It’s a shame that the title, like all titles in DC’s line, is ending in the next few months thanks to Rebirth.